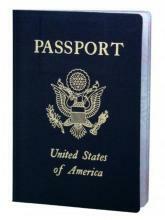 There's no quicker, easier way to get or renew your passport! Get the details here - and get ready for your next big trip! Each month we publish an e-newsletter full of timely news and tips. Subscribe now to get it in your inbox! Lake County, in the northeastern corner of Illinois, consists of 18 townships. Shields Township is located on the shore of Lake Michigan and encompasses approximately 18 square miles. It includes all or a portion of Lake Forest, North Chicago, Lake Bluff, and unincorporated Knollwood and Arden Shores. Not sure if you live in Shields? Click here to use the Lake County "Places Close to Home" tool. When you enter your address, it will show all your taxing districts as well as locations of local schools, police stations, and more. Shields Township is a member of RESPOND Lake County, a network of social service agencies and government working collaboratively and efficiently to provide comprehensive services to residents. Shields Township encourages residents to take an active role in assisting neighbors in need. Please consider making a donation to one of the social service agencies that serve Shields Township residents (see our Social Service Organizations page for links). We also welcome donations of food, money, or volunteer hours to our Food Pantry. Contact the Supervisor's Office for more information.